CARDIO ON AN EMPTY STOMACH: DOES IT BURN MORE FAT? Even though this is more a strength oriented website, most athletes still do some form of cardio and, let’s face it, most of us do it to look good. So fat loss is a topic worth covering. 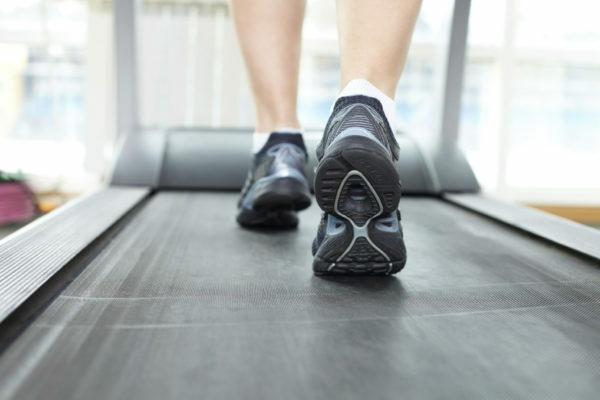 For ages, people have gotten up at ungodly hours and performed cardio following the logic that since they were exercising with an empty stomach, the body has no other choice but to burn fat. It sounds great, but is it true? Despite the fact that I believe that cardio is unnecessary to get lean (there, I said it), let’s have a closer look at cardio in a fastened state. In short, no, cardio on an empty stomach is not more effective. Long answer? Let’s read on. While it is true that the body will use mainly fatty acids as an energy source when performing any exercise on an empty stomach, this doesn’t necessarily mean that you will lose more body fat. How so? In the end, what matters are the overall calories being burned. So while someone who does cardio in the AM might use up more fatty acids than someone who does cardio in the PM, they still burn the same amount of calories. Now, if we assume a caloric deficit, they will both lose weight. I personally have issues with doing cardio in a fasted state for two reasons. First, there is a drop in performance so the overall amount of calories being burned is lower than if the athlete had consumed some food beforehand. Secondly, there is muscle loss. Foods (glycogen and amino acid) are anti-catabolic and so they help prevent muscle loss during exercise. If muscle is lost, that means your metabolism will slow down, hence you will have to diet stricter to achieve the same results. Now for me, muscle loss is one of the worst things that can happen. As a natural athlete, you are bound to lose some muscle during a diet as is (if everything goes well, you will lose 1lbs. of muscle for every 3lbs. of fat), but you shouldn’t try to create a situation where you are endangering your precious muscle tissue. If you feel the need to separate cardio from weight training, at least have some BCAA’s beforehand to avoid catabolism. Otherwise, do it after you hit the weights; your glycogen stores will then be empty and fatty acids will be used for energy. Next post: IGF-1: DEER ANTLERS AND JACKED UP SQUIRRELS OR HAS THE MEDIA LOST ITS MIND?